The job of display of short-shorts is given over to disembodied hands for an unusual presentation. And the vertical qualifier “Denim” spells out what might not be so obvious from a distance … the apparel material. 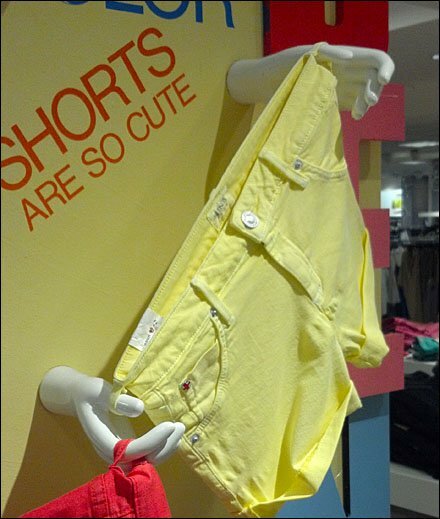 And yes as the display says … “Shorts are so cute” … particularly imagined on a petite wife like mine.